Drop “The Drop-By” Mentality – It’s Costing You! Medical sales representatives stay busy. Frequently, part of staying busy is “The Drop-By.” This is where medical reps “drop by” one of their accounts – a doctor’s office, clinic, dental office, therapy center, clinic, etc. – without an appointment. They hope for a few minutes of a decision-makers time, but they’re quite happy if they just get to leave some information. BIG MISTAKE! If you do this, it might be costing you sales…Lots of Sales! Watch this short video to learn why and stop leaving money on the table! 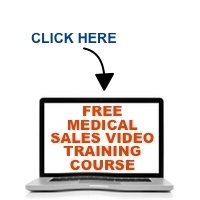 Tell me your biggest challenge in medical sales and I’ll tell you the one thing you should do next.